One of the dreams I’ve had since getting into calisthenics, is to design and install my own home outdoor gym. 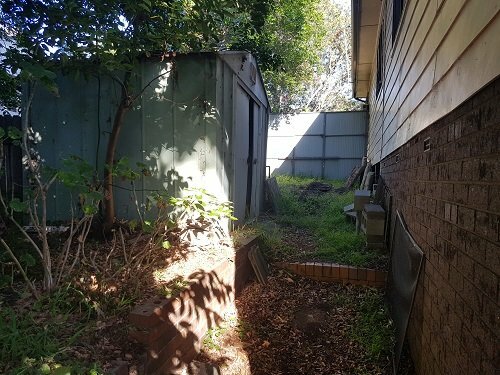 After moving to Jannali in the Sutherland Shire, I’ve decided it’s time to make it happen! This post will cover the design and planning stage. 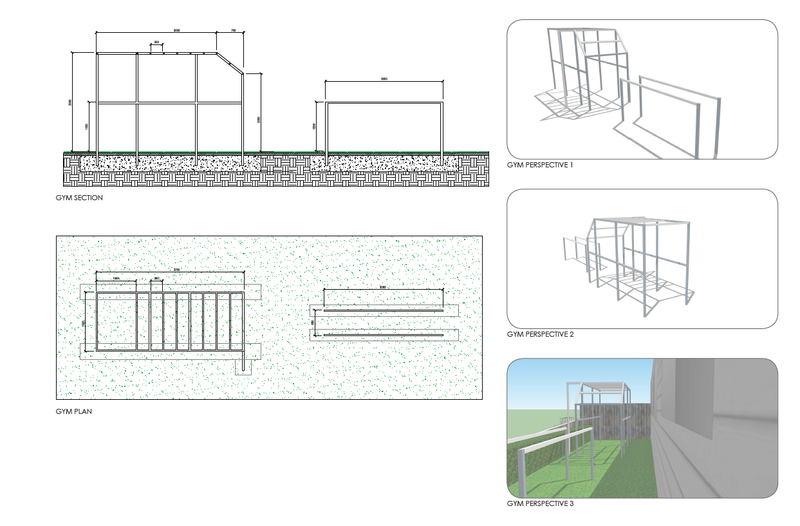 We’re doing this as a smaller part of a complete redesign of our back yard, so in order to get a proper design drawn up, I enlisted the help of Johnny Derwent of Jack Williamson Design. 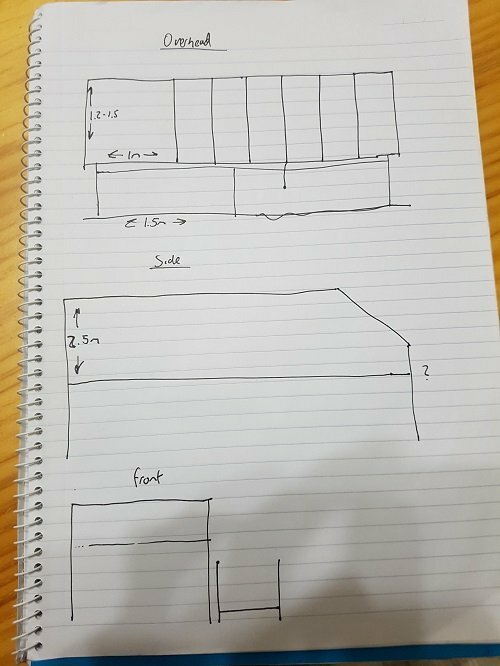 After checking out our garden, Johnny asked me to draw up a pull-up bar design. Here is the rather messy scribbled design! Thankfully Johnny was able to unravel my mess and turn it into this awesome pull-up bar design. Bars will be roughly 4cm in diameter and 1.5m wide. Each monkey bar will be 30cm apart, allowing enough room to do a pull-up in-between. A descent down to a 2 meter bar. A fireman’s pole for clutch and human flags. The bars are being built by Marcus & Rose Manufacturing, a steel manufacturing company based in the Sutherland Shire. As you can see, there is a lot of work to be done! The next few posts will cover the demolition work, installing a retaining wall, steps and of course the actual pull-up bar itself. I plan to do as much of this myself (with help from friends) as I can, stay tuned for these updates. I would love to see a follow up to this. How did the gym turn out and how much did it cost in total? Hey Kev, I’ll get a follow up to this once I have it all finished. I abandoned the idea of doing it myself as it was a little too complex in the end. The author(s) and Maximum Potential Calisthenics are not responsible for any injury or damages that may occur from attempting to follow any of the exercises or training plans depicted or discussed across the site. Any attempt to follow the progressions or exercises within this site are at your own risk. Always consult a Doctor before commencing any new exercise regimen.